Leave it to Erica to inspire a blog post. My mailbox is still smelling glorious from her birthday package she sent me! You know those girlfriends who never miss a birthday and are so thoughtful with their gifts? That's Erica. She is seriously the best gift giver I know! I think at some point in the past year I once had a post about LUSH products saved in my drafts, then completely dropped the ball on posting it. Have you heard or used LUSH products before? If not, now is your time! LUSH makes their products from organic fruits, vegetables, and oils and they only buy ingredients from companies who do not test on animals. They make all their products fresh by hand using little preservative or packaging. Two thumbs up! I've used several of their products over the past couple years and wanted to share my favorites. Their face masks and cleansers (and of course these bath bombs!) are a part of my weekly routine and I swear by them. My skin feels amazing when I use them and the prices make them that much more appealing because they last so long. I'm talking several months for some of them. If you love baths, you will want to try their bath bombs too. Here's all your options. Love all the creative names for these products, too! Next on my list is trying their shaving creams. PS: LUSH has no idea who I am, I just really love their products and wanted to share about them! LOVE lush products! Their lip scrubs are lifesavers in the winter with all the dry, dead skin! I use it every morning and my lips feel so soft and full! Love the sound of the deep cleansing mask! Ill have to try that one! I love their bath bombs. I need to give their face mask a try. What an awesome bday gift! I love Alex and Ani bracelets- I have the emerald one too. 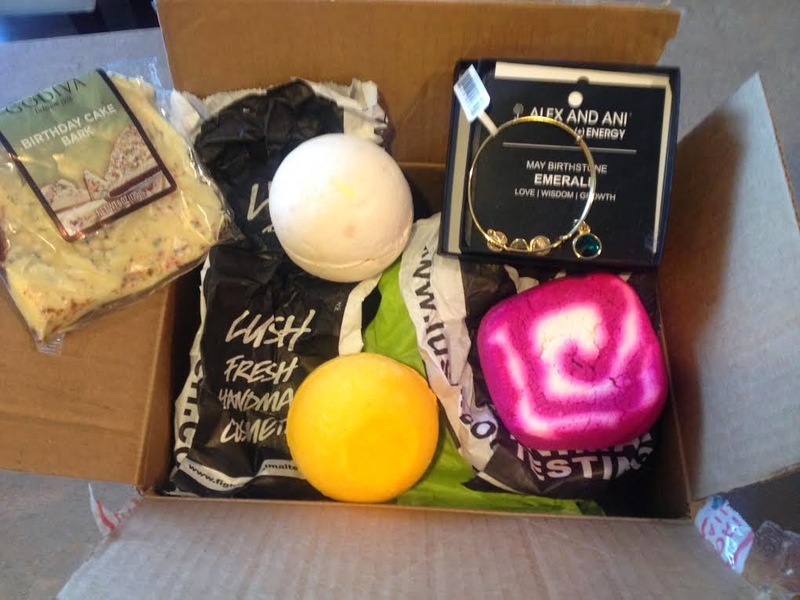 Plus, the Lush products you received look amazing! Happy birthday! I always stop in LUSH at Easton and drool over everything, but I've never tried it out! Definitely on my list of things I need to buy! LOVE!!! SO glad you loved everything!! Bath bombs are the BOMB. I also love their lip scrub! muuuuust try the ocean salt scrub too. That sounds heavenly! love you mucho and so glad you had the best birthday!! I was just looking at some LUSH product the other day. I'm obsessed with baths, so I really want to give their bombs a try! 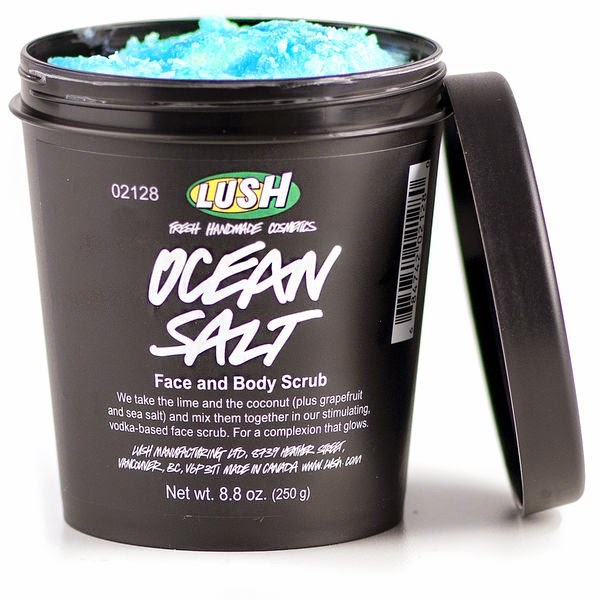 Also on the look out for a new exfoliator, so I may have to put the ocean salt scrub on my list! I found LUSH when I was in England several years ago and totally stocked up! I was so excited when just a short year later they started popping up all around the US! Love their bath bombs and their massage bars. ohh I want to try the Ocean salt! Sounds like one amazing gift! Love Erica! And I'm dying over that Alex and Ani bangle. I asked for a birthstone one for my birthday too.